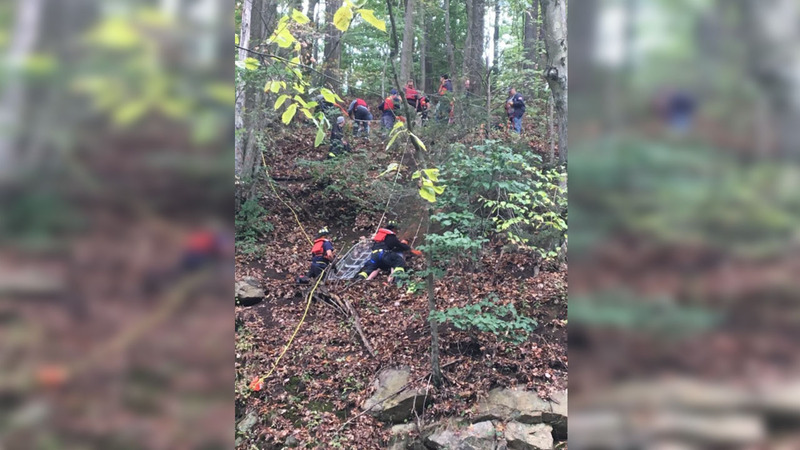 BOONTON, New Jersey (WABC) -- A 13-year-old boy called 911 after he fell down the side of a cliff along the Rockaway River in Boonton, New Jersey on Sunday morning. After the call, police tried to get the boy's location by keeping him on the phone. Sgt. Royce Stafford went out looking for the 13-year-old with another officer, and finally spotted him 100 yards out. When officials found his location, they noticed he was 30 feet above the Rockaway River, and was motionless. Officials heard the boy cry out, and the fire and rescue squad was called on scene. The boy was placed in the fire department metal basket. There are no word on the boy's injuries, but he is expected to be okay.